August is always an introspective month for me. It’s my birthday month (this coming Friday, in fact), which brings with it a reminder of my mortality and the finite time I have left spinning on this giant rock – I’ve always been a glass half empty guy, if you hadn’t worked that out. Not that I ever allow myself to forget this ever quickening slide into my own doom, seeing as the main driving force of my existence – or at least my blog – is the 1001 Movies You Must See Before You Die. I suffer a kind of fractional life crisis pretty much every birthday. This year I’ll be turning 28 which, according to Wikipedia’s chart on International Life Expectancy, leaves me 51 years left, so I’m at my 35% Life Crisis. And that’s being generous. I have a body type and general lifestyle that one might describe as synonymous with being rolled back into the sea should I fall asleep on a beach, and my propensity for cycling on busy roads with car drivers who seem to be doing their utmost to claim some kind of bounty on my head probably means I’ve got far fewer turns on my mortal coil. So what does this mean? Well, this birthday marks what should have been a significant milestone in my blogging quest. I started my mission of working through four film-filled lists four and a half years ago, based on the notion of a half-remembered dream or epiphany I’d had some years prior, in which I was certain I’d die at the age of 28. I don’t really believe this, but when I was gifted the 1001 Movies You Must See Before You Die book, I set 28 as an achievable goal. 55 months later the grand total of films I should have watched and reviewed sits at 1,494, and I’m at a paltry 532 which, what do you know, is 35% again. Suffice to say, even if it were possible in the time frame, I highly doubt I’ll be watching and reviewing the remaining 958 films in the next 3 days, mainly because there’s roughly a solid 8 weeks worth of films to watch, let alone discuss. So I’ve failed the initial mission. Rats. I’ve also worked out that so far this year I’ve reviewed 51 films from the 1001 List, as well as a smattering of others from the various other lists. If I keep going at a similar pace, and not counting the new additions added to the 1001 List every year, I should finish in about nine and a half years. Let’s say 10, and we’ll be including those films added in from now as well. Ten more years. Fifteen in total. A failure rate of 200%. And that’s not allowing for any major changes my life may take between now and then. I dearly hope these changes don’t include children, but you never know what life throws at you. Had you told me a few years ago that by now I’d have a puppy and two rabbits but no pet velociraptor or even a procompsognathus and you’d find yourself talking to a disappointed and confused fellow. Now, I can sometimes be found actually smiling at the idea of owning a menagerie, so times change. What evidently needs to change is my rate of reviewing. 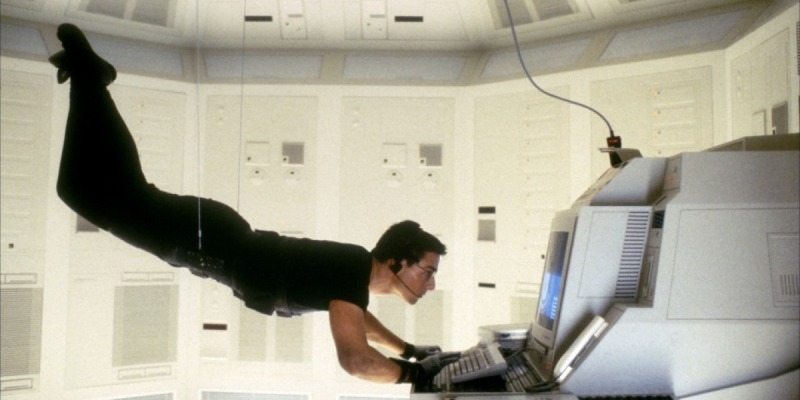 Next week’s Lambcast is on the Mission: Impossible franchise, a series of films I’m very familiar with, in a I’ve-seen-them-lots-of-times-but-don’t-remember-much kind of way, so I’ve been looking forward to going back through them. I won’t go into too much detail here – I’ll save that for the podcast! – but the first film still holds up. I’ve no history with the TV show, so had no problems with it focussing more on Tom Cruise’s Ethan Hunt than the team aspect, although his various team members feature prominently, but always in supporting role. The technology is laughably dated, particularly the 1996 vision of the Internet, but the iconic dangling scene in the middle is still so damn tense and gripping. I didn’t remember part two in the franchise being so gosh darn terrible. It’s clear the film makers wanted to make a Brosnan-era Bond movie starring Tom Cruise badly in need of a hair cut, and brought John Woo in to make the whole thing in slow motion with sporadic flocks of pigeons. The plot, based around a manufactured, highly contagious virus, is nonsense, and whilst I’ll never complain when Thandie Newton is put in any film that requires her to wear low cut dresses or bottomless t-shirts, her generic female love interest is little more than a prop steered around by the men. I’m looking into hashing this out on next week’s Lambcast. I shall not be kind. 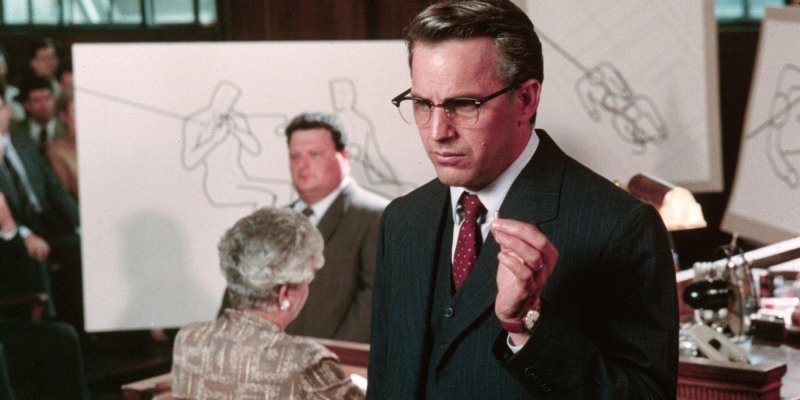 This month’s Movie of the Month for the Lamb, we recorded a show on JFK yesterday, which will be posting soon, as will my review. Annoyingly, this was amongst the films nominated for me by Nick Rehak of French Toast Sunday, but I’ve already watched two he put forward, so couldn’t count this amongst my nominated list. Fortunately it’s on pretty much every other list I’m going through, so it counts from something. Full review (and podcast) coming soon. FTS Around the Campfire: Have you ever got in an argument over a movie? : Whilst I’ve never really gotten into a heated debate over films, some of my fellow French Toasties have done, so head here to read about their film-based fights. Lambcast #280 Ant-Man: I was joined by Bubbawheat, Nick Rehak, JD Duran and Courtney Small to discuss the latest Marvel movie. This entry was posted in My Week in Movies and tagged JFK, Mission Impossible, Mission: Impossible 2 by jaycluitt. Bookmark the permalink. This is a very thoughtful piece. It’s my favorite of all the My Week in Movies posts. And M:I III is even worse than part 2. Ghost Protocol saved the franchise. Thanks, I just started typing and it turned into a diary entry more than a weekly update. I like this loose form outlet, it lets me get out some thoughts that either get lost amongst or don’t fit into the reviews. I’m sad you don’t like M:I 3. It’s been a few years, but I remember enjoying that immensely. I’m planning a re-watch tonight, so watch out for my thoughts next Monday. If I had kept up my initial year’s pace (100 movies a year), I would be nearly done with my list. Though I am making good progress this year. I’m more of a half full kind of person, especially when it comes to my hobbies. When a goal begins to feel like work, that goal gets adjusted. Happy early birthday as well, and I rarely hand those out (even with Facebook’s frequent reminders) so you should feel honored. I do feel honoured, thank you. See, I started blogging and the List because I missed having college or university homework in my life, and needed something to fill the hobby-less void, so I always intended it to feel like work. Pretty sure it’s not a sane way to live, and my extreme pessimism (which I am adamant is actually realism) pisses a lot of people off, most notably my partner. I try to be happier, but then I realise how many films I still need to watch, and how many of them are likely to be really damn depressing, as most of the List films tend to be. I’ve got Schindler’s List to hit some time this year as part of the Nominated Movies, and I just can’t muster up the enthusiasm.